Chronic inflammatory demyelinating polyneuropathy (CIDP) is a neurological disorder that leads to damaged sensory functions in the arms and legs. It also causes progressive weakness. In CIDP the immune system of the body attacks myelin sheath and starts destroying it. Myelin sheath is an insulating sheath which covers nerves and allows electrical impulses to pass quickly along the nerve cells. When this myelin covering is removed or damaged it results in slowing or loss of the electrical impulses. So the messages given from the brain do not reach the organ. WHAT IS THE CAUSE OF CIDP? It is considered to be an autoimmune disease in which there is inflammation of the nerves due to the attack of the body's immune system. 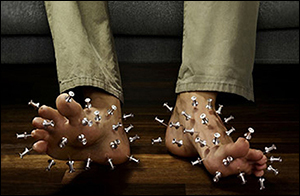 Due to this prolonged inflammation there occurs swelling on the nerve which destroys its covering. WHAT ARE THE SIGN AND SYMPTOMS OF CIDP? IS CIPD AND GUILLAIN-BARRE SYNDROME SAME? No, they both are not same disease condition but are very closely related. The similarity is that they both are the nerve disease and cause weakness and numbness. Guillain-Barre syndrome is an acute inflammatory disease which affects peripheral nerves. CIDP is a chronic form of Guillain-Barre syndrome. Progressive fatigue and weakness for at least two months. Same sensory symptoms are present on both the arms and legs. Both the muscles close one and the far one to the trunk are involved. Less or no reflexes on the tapping of the knee, crooks of the rams, the elbows, wrist, and ankles. Nerve biopsy revealing degeneration of myelin sheath. WHAT IS THE AYURVEDIC CONCEPT OF CIDP? CIDP is an autoimmune disease and according to Ayurveda, all the auto-immune diseases are caused due to ama, i.e non-digested food. Ama becomes attached to the myelin sheath of nerves and body's immune system tries to remove it. So this leads to the destruction of myelin sheath due to the attack of the immune system in order to separate ama. Pitta and Kapha dosha works behind it. Pitta being the regulator of the body's heat attack nerve covering which is controlled by Kapha. HOW CAN AYURVEDA HELP TO TREAT CIDP? Ayurveda is an ancient system of medicine which treats diseases by herbal medicines. 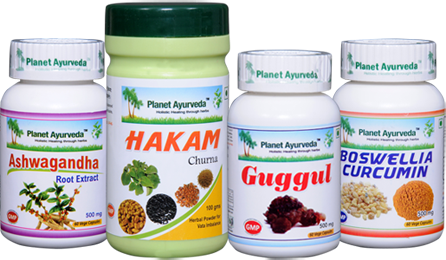 These herbal medicines are made from pure and natural extract of various herbs. This is a natural and safe method of treatment. CIDP is a rare disease which is manageable if treatment is started timely. So, early intervention is necessary. Along with Ayurvedic medicines, there are some lifestyle differences which will help you to recover faster. Avoid coffee and take green tea. Do not take carbonated drinks. Do not smoke. If you are a regular smoker then quit smoking gradually as its sudden stoppage can cause withdrawal symptoms. Develop regularity in life, like in eating, sleeping, and exercise. Planet Ayurveda offers CIDP Care Pack to treat chronic inflammatory demyelinating polyneuropathy. These are single herb capsules prepared from the best and authentic herb. It effectively treats and manages signs and symptoms of CIDP. Ashwagandha acts as a nerve tonic which improves nerve sensations and coordinator functions of the arms and legs. These capsules enhance mental and physical stamina. It relieves weakness, stress, fatigue and increases the body's endurance. Muscle strength is restored by consumption of these capsules. It improves overall health. DOSAGE- Take two capsules two times a day after meals. These capsules are prepared from an herbal combination of Boswellia (shallaki) and Curcumin (turmeric) herbs. Inflammation and symptoms like pain and numbness is relieved by these capsules. It improves the immunity of the body and gives body strength to fight against various diseases. Shallaki herb used in it is an immune strengthening and anti-inflammatory which relieves many symptoms of the disease. It is an antioxidant which eliminates toxins and free radicals from the body. Energy and vitality are recovered from the proper consumption of this churna. CIDP associated pain in arms and leg is relieved by Hakam churna. This herbal churna has the ability to tone up the nervous system. Hakam churna relieves digestive and urinary problems. As it improves digestive complaints which reduces ama and hence prevent demyelination of nerves. DOSAGE- Take 1 teaspoonful two times a day after meals. Guggul capsules increases immunity and stimulates thyroid gland activity. The signs and symptoms of CIDP are maintained by these capsules. It is a potent cell revitalizer which helps in cells rejuvenation. It has antioxidant properties and helps to treat arthritis. Anti-inflammatory properties of these capsules relieve pain in affected parts of the body. 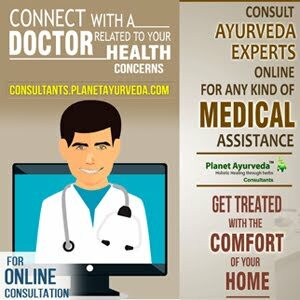 WHAT ARE THE ADVANTAGES OF TAKING CIDP CARE PACK FROM PLANET AYURVEDA? This powder is 100% natural. It is purely a vegetarian product. CIDP Care Pack does not contain any chemicals, preservatives, starch, additives, colors, yeast, binders or fillers. Its testing is not done on animals. This product is available at Planet Ayurveda at a reasonable price with the best quality. Only pure Ayurvedic herbs of the best quality are used. Standardized extracts are used in the preparation of capsules.